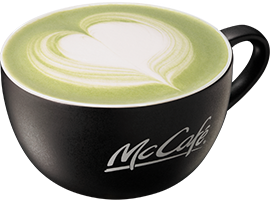 A new product from McDonald’s Uji Maccha (Japanese green tea) series will be sold! McDonald’s Japan opened “McCafé by Barista” in 2012. At this “café” located inside McDonald’s stores, baristas have been offering “full-fledged coffee.” In commemoration of its 5th anniversary, they have been holding a campaign called “♯ Cafe no Anaba” since late June and this campaign will be ended in late September. During this campaign, promotion activities of limited products will be held. 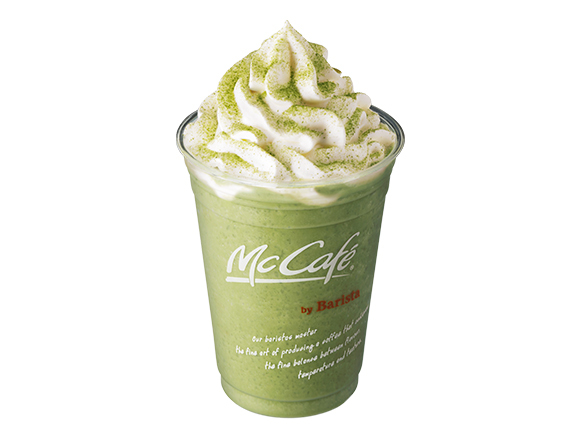 The 4th new product in this campaign, (the last product）is “Kuromitsu Kinako Maccha Frappe.” Also, they will sell popular products for a limited time offer including “Maccha Latte Frappe,” “Ice Maccha” and “Maccha Latte” from the 1st of September （Fri.）. 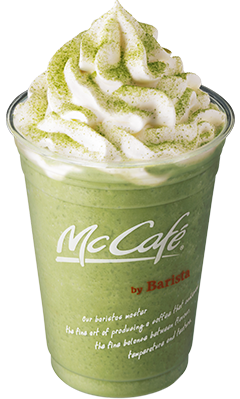 “Kuromitsu Kinako Maccha（black bean / toasted soybean flour / green tea）Frappe” is a very Japanese-styled product which use Ujimaccha produced in Kyoto, lots of milk, kinako with a rich flavor, kuromitsu（black syrup）and chewy shiratama （white rice cakes）. The combination of maccha and the three kinds of topping is so delicious and the product has whipped cream as a topping. 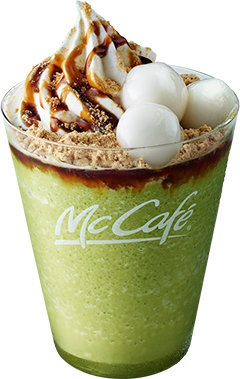 Eating this sweets item will for sure be an exquisite experience as if you are drinking a Maccha Latte Frappe while consuming some Japanese sweets. 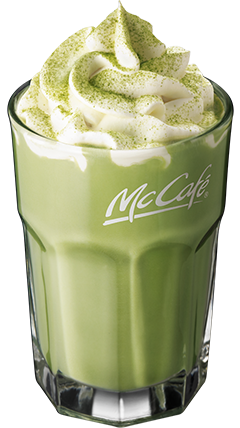 “Maccha Latte Frappe” is a frozen drink which uses tasty Ujimaccha produced in Kyoto and a lot of milk in order to add sweetness and thickness to the drink. “Ice Maccha Latte” is a Japanese-styled dessert drink which uses bitter Ujimaccha produced in Kyoto along with whipped cream. “Maccha Latte” is a non-coffee drink with a tender sweetness and the rich smell of Maccha that uses Ujimaccha produced in Kyoto and milk. The “♯ Cafe no Anaba” campaign offers a straw marker using the motif of each product to the customers who buy a “Kuromitsu Kinako Maccha Frappe,” “Maccha Latte Frappe,” “Ice Maccha Latte,” or a “Maccha Latte” for a limited quantity. “Okaimono Panda” and “Kopanda” which are the official character of Rakuten Group collaborated with the straw marker. McDonald’s stores located beside “McCafé by Barista” stores throughout Japan. ※ The list of the stores can be checked by viewing the official HP of McDonald’s.